Wills and trusts are effective estate planning tools used to outline an individual’s final wishes upon their death or incapacitation. Although these documents typically prevent disputes over the administration of an estate, there are some instances when it may be necessary to challenge the validity of a loved one’s will. To be successful in your efforts, you must be able to exhibit legal grounds for doing so. According to the attorneys at Gosselin Law, the courts will only consider overturning a will under specific circumstances. They have represented many Arlington, MA, residents who have had reason to question the authenticity of a will. Below, they offer an overview of the various grounds for contesting a will. For a will to be valid, the testator must have created it when they were of sound mind. In other words, they have to understand the value of their assets, who their beneficiaries should be, and the impact of signing a will. If you think a loved one lacked capacity when making their will, you may be able to contest its contents with the assistance of an attorney. Every state has its own laws in place for the proper execution of a will. In Massachusetts, the document must be signed by the testator and two witnesses who are at least 18 years old. In addition, a self-proving affidavit cannot take the place of witnesses in probate court. If a will wasn’t signed in accordance with these state guidelines, it may be found invalid. In some cases, fraud or forgery provides reason to contest a will. If fraud is a factor, the testator may have been tricked into signing a will they believed was a different document. Or, they may have been fooled into adding provisions based on falsified information supplied by another person. 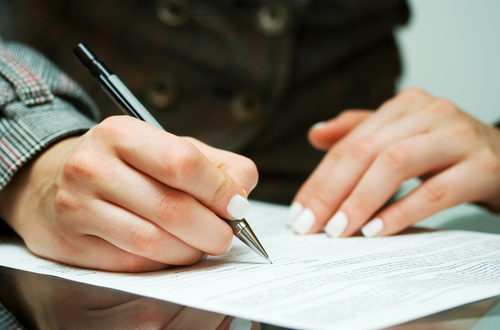 Forgery means the will was signed by someone illegally acting as the testator. If a testator has become physically or mentally weak, they may be easily influenced by others. In a situation like this, it’s possible for a will to be drafted under pressure so it follows the wishes of someone other than the testator. This is referred to as undue influence. A will may also be contested on the grounds that there is another will in existence. Typically, if a more current document surfaces, that one will be recognized as valid by the courts. Another issue may arise if a will doesn’t revoke part of an older will that should be enforced. If you believe you can prove a loved one’s will is invalid based on one of these grounds, explore your legal options with an experienced estate planning attorney. The team at Gosselin Law has extensive knowledge of probate law and will help you gather the necessary evidence to support your argument. Contact them at (781) 782-6000 to proceed with your case. You can also visit their website for more information.